A dwarf spreading shrub growing 30cm x 1m. A prolific display of white globular flowerheads with purplish toning will appear from Winter to Summer. 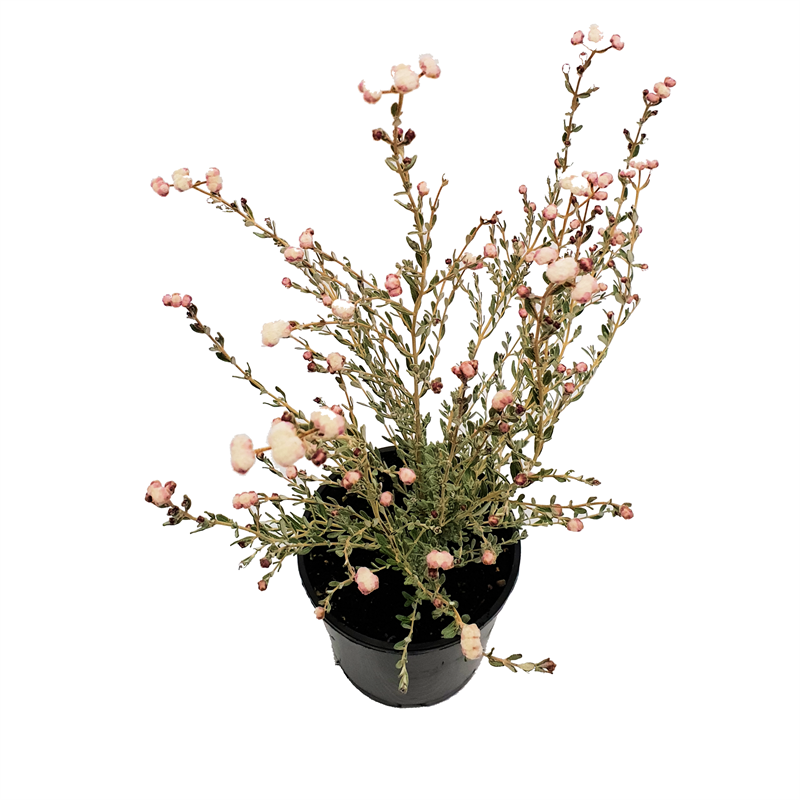 A decorative and unusual small shrub for garden beds, rockeries and containers.